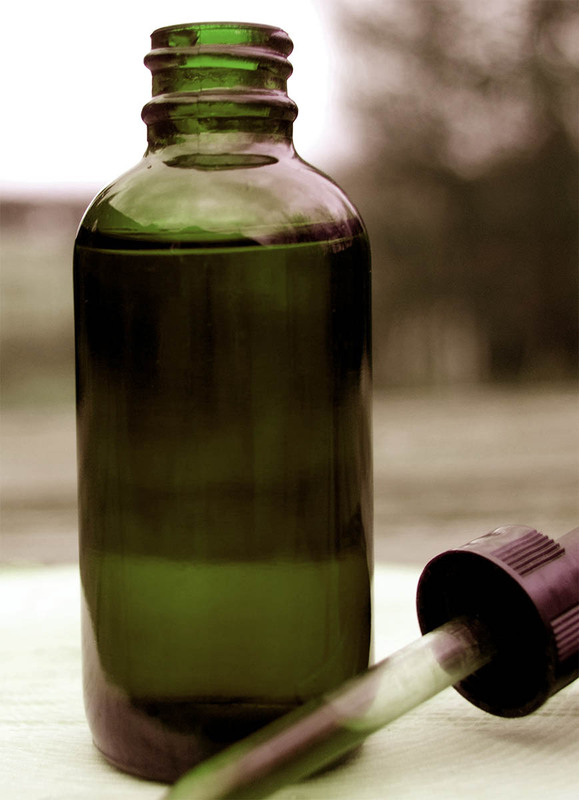 Cannabis tinctures go way back to the 1840s when they were quite common in pharmacies across the US. A tincture works by getting into your bloodstream as fast as possible by the means of high quality alcohol. Some tincture bottles with the little droppers. The first thing you’ve got to do is to grind up your marijuana as fine as possible. You can use a mini food processor, or your hand or whatever. Remember you’re making a tincture here which means it’s got to be much stronger than tea since you just want to be taking a few drops at a time. For this reason generally the amount of weed you need to make a tincture is quite high. Around an ounce of flowers will do for a 500 ml bottle. So scale down from that as necessary. Once you’ve got your weed all ground up, you’re going to cook it to get all the good terpenes and that stuff out of it. It’s complicated to explain, but most foods and edibles with marijuana infused into them are obviously cooked, many times with butter. This process opens up the plant and allows it to bind. Cannabis basically needs to get hot to get the full benefits of it. So put it in your oven for around 30 minutes. Make sure it doesn’t burn! You’re just warming it up essentially and it will make your whole apartment or house smell quite nice. So take your magic cookie sheet out of the oven, and pour the contents into your canning jar. Then, you’re going to want to use a high proof alcohol (Vodka generally) and fill up the jar (use a quart sized one if you’re using the 500ml recipe with an ounce of weed). Then put the thing into the freezer. Every day take it out and shake it about. After a few weeks the THC will start binding with the alcohol. Once the mixture is complete take the jar out and strain out all the vegetative material, and leave the jar open for another week to let the alcohol evaporate. This will cause the mixture to become stronger. Then simply pour into your tincture bottles, and figure out your dosage. Next How Often Water Marijuana ?